Multi-function, 4 in 1: heater, fan, ice cooler & humidifier. Easy to move with its high quality casters. 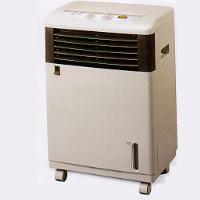 portable air conditioner, ice cooler / humidifier / heater, split type portable air conditioner, De- humidifier , heater fan.